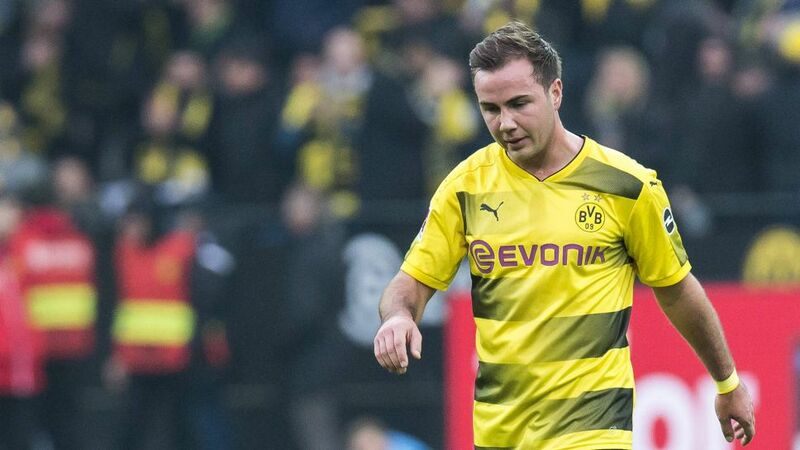 Borussia Dortmund midfielder Mario Götze will be out for up to six weeks after partially tearing the ligaments in his right ankle, the club confirmed on Monday. The 25-year-old suffered the injury in the second half of Saturday's unfathomable 4-4 draw with local rivals Schalke - a game in which Dortmund blew a 4-0 half-time lead. Götze scored his first Bundesliga goal since December 2016 against the Royal Blues, and was beginning to rediscover his best form after being sidelined by a metabolic disorder for five months earlier in the year. The Germany international has made 11 starts in all competitions for Dortmund so far this season, as well as a further two substitute appearances, but is not expected to play again in 2017. Dortmund - winless in six Bundesliga matches - are next in action away to Bayer Leverkusen on 2 December.